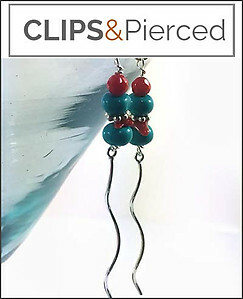 Features: Channel the swank and Bohemian style with these striking sterling silver stiletto earrings. 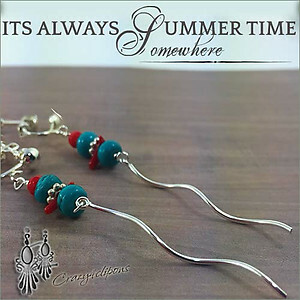 Beautifully stylized design feature a bold linear silhouette complimented with turquoise rondelles and small corals. & The earrings' sleekness can ease into any ensemble.